Zazzle How2 Blog - Success! Many of you know that our print on demand Zazzle stores are pivotal to our online business activities. We’ve achieved significant business growth with them, but for many sellers, there is a big challenge with Zazzle: Where do we get graphics and images to use in product creation? We’re not artists, as are the talented sellers who do create their own visual imagery for their Zazzle stores. Instead, we’ve acquired images in a variety of ways, and have then tried to maximize the number of products we create with them (lots more at our Zazzle How2 resource site). Still, finding good images is an obstacle that stalls progress for many Zazzle sellers. You may want to consider branching out if you’re in the “where do I get images?” group of Zazzle sellers who have the same problem. We’ve found partnering with clients on Zazzle stores to be a promising solution. What makes these people good candidates to an arrangement with you as a Zazzle seller? 1. They don’t have the time, skill and/or interest to build and administrate a Zazzle store. They are running a day-to-day business with other responsibilities. If they’re creatives, they want to stay in creation mode and may have difficulties with sales and marketing, or other business stratagems. 2. They understand the marketing advantages having a Zazzle store can provide. An online store can fill a variety of presentation gaps in a business structure, be it brick-and-mortar or creative in nature. Zazzle sellers who know what they’re doing can respond to these needs and create a client-based business. 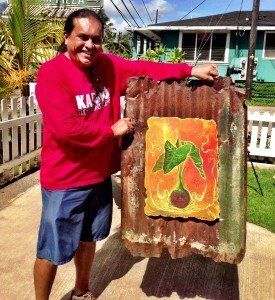 Our two newest stores, for Kalypso Island Bar & Grill and artist Curtis Cabral, have been done for local clients; both are well-known and popular on the North Shore. And they’re entirely different from each other, which has made things fun. Oh, and both stores have already sold merchandise, with little to no promotion up to this point! Best of all! 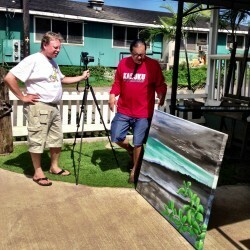 If you’ve visited Kauai, chances are you’ve seen the work of Curtis Cabral. 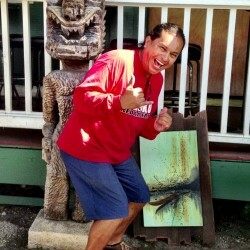 And, if you hang out in Hanalei, you know Curtis Cabral. Everyone just does. 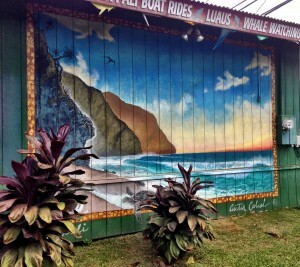 Curtis has painted large public murals throughout Hanalei and other communities. He also does medium and large original paintings. Their imaginative subjects – all having to do with Kauai – are whimsical and spiritual, with an element of fantasy. Artists are creatives; the business side of things can be challenging. Some of the difficulties for an artist such as Curtis are landing commissions and selling larger (and more expensive) pieces directly to individuals or using gallery partners. It’s been fun working with Curtis from Day 1! Transferring his images to less expensive, appealing and useful items enlivens them, creating more ways for Curtis to sell. 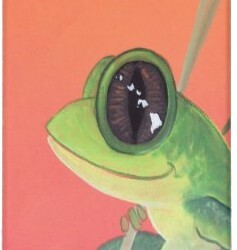 Examples: Happy Poloka on Young Bamboo phone case and Traditional Hawaiian Hook and Colors skateboard. 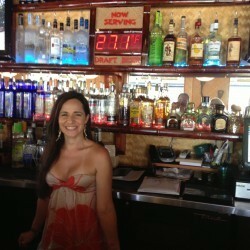 Flavia at Kalypso – beer is cold at 27.1 degrees F! 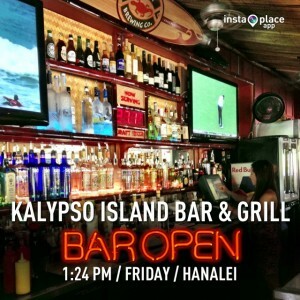 Kalypso Island Bar & Grill is one of our favorite hangouts in Hanalei. We were delighted when Manager Flavia DiGrazia asked us if we could help her with merchandising and website problems. (Side note: Flavia owns the Curtis Cabral mermaid painting we used in his store header, above). People from all over the world enjoy their visit(s) to Kauai’s North Shore. When they stop in for cold beer, cocktails and yummy food, Kalypso customers buy t-shirts and other branded merchandise right in the restaurant. Then they get home and realize they want to buy more Kalypso gear and have it sent to them. Fulfilling these requests had been a low-return activity for Flavia, whose everyday on-site business responsibilities must take priority. Flavia was experiencing difficulties with keeping proper packing materials on hand, anticipating shipping costs, and getting the shipments to the Post Office during business hours. One of our Zazzle stores, built just for Kalypso Island Bar & Grill, solved Flavia’s problems to a T, without requiring her to invest money and energy in inventory and supplies. Flavia’s on-site best sellers are prominently featured, as well as new items in additional categories. 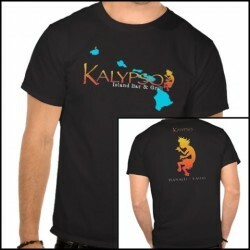 Whether patrons are right in Hanalei, or have returned home, they have a much broader variety of Kalypso merchandise from which to choose. The online store is part of a bigger integrated marketing project we’re doing with Flavia. It’s been lots of fun to work with Kalypso, too! Conclusion: If you’re an experienced Zazzle seller who wants to expand your business with additional Zazzle stores, you may want to consider branching out into similar client work. If you’re a brick and mortar business or an artist, you may want to consider the benefits of featuring your brand on merchandise that can be direct shipped to your customers and fans, with none of the administrative hassles. v3.0 of our popular eBook "More Products Less Time". Read More.